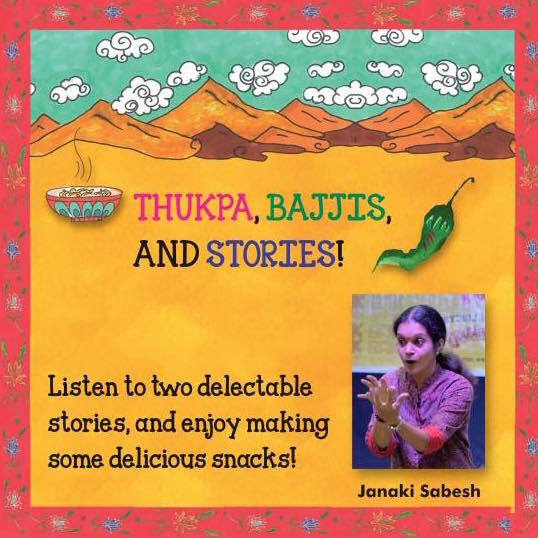 Come, join us for an evening of story-telling as Janaki Sabesh - our most favourite story-teller, takes you on a lip-smacking journey through two of Karadi Tales’ books ‘Thukpa for All’ and ‘The Case of the Stolen Smells’. This interactive session will be followed by a quick make-your-own-Thukpa at Ratatouille (the cooking zone inside Quest) that you can devour with some hot bajjis. Prabha Ram, the author of ‘Thukpa for All’ would be present after the event, if you’d like your book to be autographed by her.